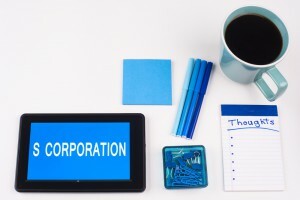 S corporations are most popular as a tax vehicle because it allows for only one layer of tax instead of the double layer of tax usually imposed on a typical corporation. Rather than the S corporation paying tax, the S corporation’s taxable income passes through to the shareholders and is reported on those shareholders’ personal tax returns. The corporation generally is able to distribute a company in profits to the shareholders free of federal taxes. To avoid corporations attempting to convert over to an S corporation and then sell their assets off, the internal revenue code mandates a 10 year built-in gains tax on S corporations. If the S corporation sells assets within this period, the corporate level tax normal rate is paid. In early January, legislation was introduced to officially reduce this 10-year period down to 5 years, retroactive to tax year starting on January 1, 2015. For S corporations, this is great news and highlights an important time to return to your planning attorney to discuss your options.